If you guys have read my Skincare Routine post, you'll know I'm a big ol' fan of Liz Earle Cleanse and Polish. This being said, I actually really hate the standard eucalyptus version so stopped using the product however when I discovered the limited edition Rose and Cedrat version I fell in love. Though, of course, it was a limited edition so I couldn't find it again, Liz, dear, why do you do this to me? I was forced to settle for the Rose and Lavender version of this hot cloth cleanser. I say forced because I'm not a fan of lavender, I love rose scents all day long but lavender can be very over powering but I bought it regardless. I will say you can still smell the lavender but the rose really tones it down and actually I ended up really liking it! The reason why I love this Liz Earle product is because it is really gentle and I have very difficult skin. If I use this product every day my skin would start getting spotty, like I can only use it once or twice a week but this is because I rarely put skin care products on my face daily, I just wash the make up off and that's it. I used to have horrific acne and whilst the cause of mine was hormonal, I strongly believe a lot of products out there actually make you skin far worse so once I finished my medication for my acne I just stopped using everything I was using before. The Cleanse and Polish hot cloth cleanser works so well because of that added step with the muslin cloth, like if you haven't tried this product or even use a muslin cloth to remove products, you need to. The muslin cloth is delicate but adds a bit of friction to exfoliate wonderfully. 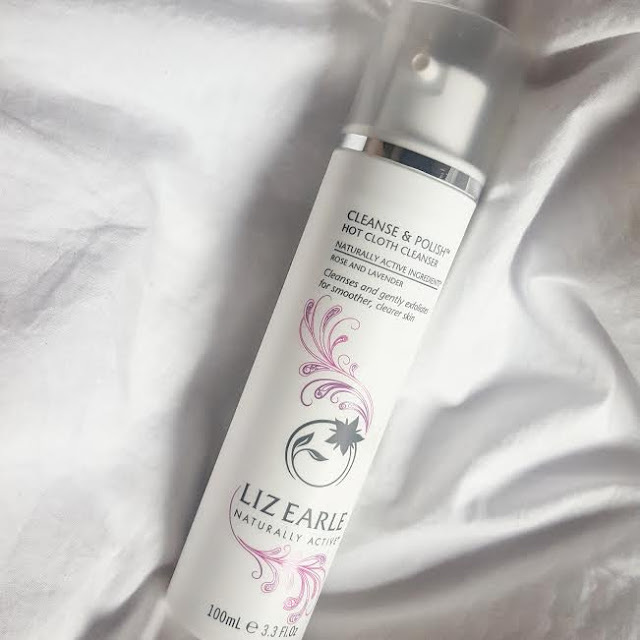 After using this Liz Earle product my skin looks so fresh, a vibrant, it almost mattifies it without making my skin look dry! If the Cleanse and Polish isn't in your skincare regime, bloody should be! What is your fave Liz Earle Product?